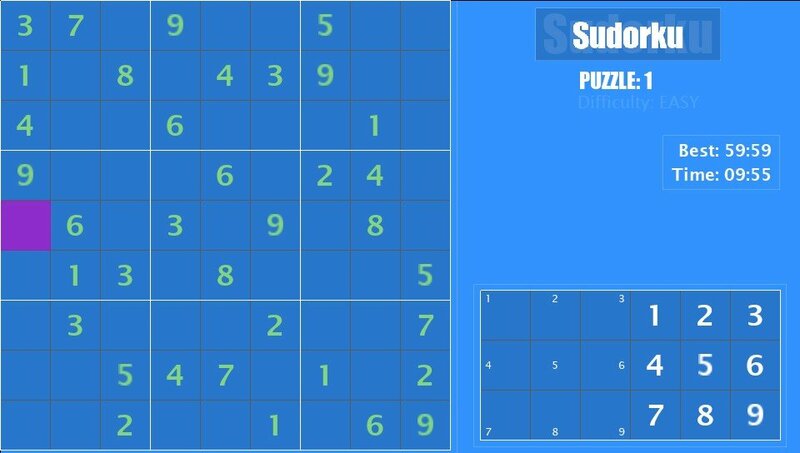 Comme son nom l'indique, Sudorku est un jeu Sudoku ( homebrew ) pour la PSVita. Touch controls as dragaron seems to love using the Vita’s touchscreen. This means that the Vita’s touch screen now has a handful or more useful purposes! Unlike Hendoku, you can’t use L/R to control change/input numbers which was something I really liked. The ability to take small notes in grid cells so that you could easily keep track of what the possible answer may be without making a mess of your Sudoku puzzle. A very nice feature that really shows how polished this game is. The ability to theme the game on the fly and have your changes dynamically get outputted on screen! There’s an RGB table that you have to mess around with to theme the game but it’s quite simple and themes are saved (you can do up to 10). 201 different puzzles (not randomly generated) varying from Easy to Extreme difficulty. Trust me, they’re enough to keep you occupied for a while. The best time for each 9×9 puzzle is recorded. Installation : Téléchargez le vpk ci-dessous puis installez-le via VitaShell.